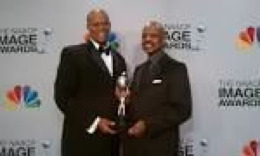 Tony Rose is the Publisher and CEO of Phoenix, AZ based, Amber Communications Group, Inc., the nation’s largest African-American Publisher of Self-Help Books and Music Biographies; The 2013 44th Annual NAACP Image Award Winner for Outstanding Literature; The Los Angeles Leimert Park Book Fair / Jessie Redmon Fauset Book Awards, ”2014 African American Book Publisher of the Year”; and The Harlem Book Fair / Phillis Wheatley Book Awards “2013 African American Book Publisher of the Year”. 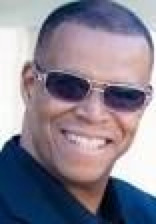 In 2000 he responded to the needs of the growing market of self-publishers and founded Quality Press, the nations largest “African American Book Packager”, in order to accommodate authors who wished to self-publish their books, and placed the Quality Press Self-Publishers Book Division under the direction of Yvonne Rose who is also an Associate Publisher for Amber Communications Group, Inc. and the Director of Quality Press. Tony Rose (Jessie Redmon Fauset Award Winner, Publsher of the Year) with Farrell J. Chiles, Cynthia E. Exum (Founder/LPVBF) and Annette Thomas (Awards Director) at the 8th Annual Leimert Park Book Fair.